Helpful Tools to Avoid "Retirement Planning for Dummies"
Navigating retirement plans can be challenging, even to investors, lawyers, accountants, and believe it or not, the Internal Revenue Service itself. So, how do smart people do it without ordering the “Retirement Planning for Dummies” book? There are a few key tools and methods that can help you win at the retirement game. Knowing your needs and being able to properly save is a manageable first hurdle. But when it comes to the actual legal contract, the hidden fees of 401K’s and other retirement plans are running rampant. “The Employee Benefit Research Institute found that only half of 401(k) plan participants even noticed the fee information stuffed in the 14-page disclosure.” And Tom Zgainer from “America’s Best 401K” says that Americans are paying over $17 billion a year on hidden fees alone. Ok, not for dummies, but for people who don’t (and shouldn’t have to) understand everything in a retirement plan. Face it, not all of us have a magnifying glass and a law degree in our back pockets. However, by using a tool that is in your back pocket (your smartphone), you can get help setting budgets, calculate plan outcomes, and avoid paying some hidden fees. Some online tools, like this 3-Step Retirement Calculator from Charles Schwab, can help you rebalance 401(k) allocations, and give you an accurate idea of how long that nest egg is going to have to last. Other popular financial apps, like Mint, allow you to track your spending and savings. The Mint app helps to set retirement goals and keep up with them. It sends you alerts about your savings each month and visually tracks progress towards your goals. According to the Center for Retirement Research at Boston College, the fees from mutual funds and 401(k) and IRA plans can cut the value of your account by almost 37%. So it is really worth it to read the find print and know the terms of your plan. Hidden fee apps like FeeBelly can help you scan your retirement plan to find the costly details. 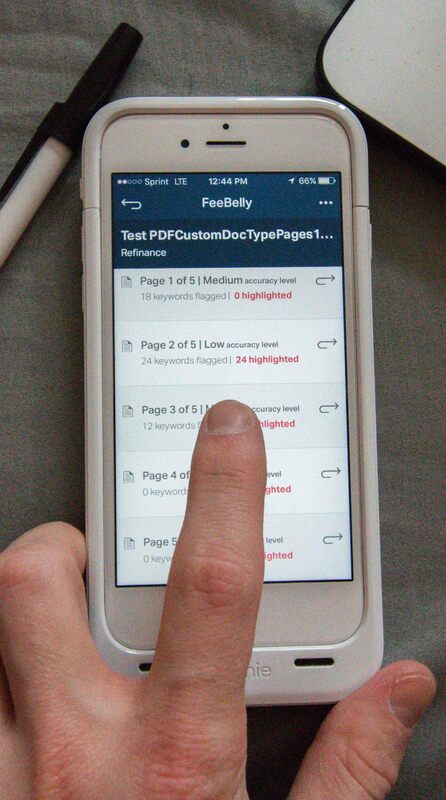 The FeeBelly app simply scans documents for keywords (like: management fees, processing fee, maturity, penalty, exercise period, protection, arbitration and loss) and shows you where the red flags go up. Then, when you can clearly see the important sections of fine print, you can negotiate terms knowledgeably. 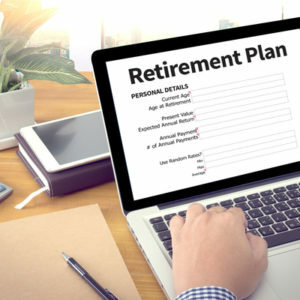 Some of the most common retirement plan mistakes involve early withdrawals, inherited IRAs, required minimum distributions and account rollovers. But biggest mistake of not reading the fine print is easy to avoid. A fee-sniffing app is one of the best tools for retirement planning (and for keeping your sanity!). Online calculators and apps like Mint and FeeBelly can give you the upper hand when preparing for retirement. Use these tools to avoid feeling like you need a copy of “Retirement Planning for Dummies”. But don’t worry, even highly intelligent people need some help with retirement planning!